Kate Spade’s death is shocking to me. Suicide is newsworthy because life is precious. I feel truly sorry for her. I feel sad for her. I feel sad for us as a culture that will lose her creative beauty. I cannot imagine what it would be like to think of the past and imagine a future that is so bleak, so devoid of meaningful moments that you take your own life. I know what earth shattering heartbreak feels like that you want to will yourself to stop breathing. Researchers dissected 20 suicide notes written by people who attempted suicide with 20 notes written by people who successfully killed themselves. The notes were evaluated on 5 dimensions: sense of burden (would my loved ones be better off without me? ), sense of emotional pain (how much suffering is in my life? ), escaping negative feelings (is death the answer to ending this pain? ), altered social world (is death the answer to my troublesome social relationships?, and hopelessness (is there evidence that life is going to get any better? ).The biggest difference was that the notes of suicide completers included much more detail about how they were a burden on other people and society at large compared to the attempters. In fact, this sense of burden was the only dimension that distinguished the suicide letters of these two groups. You might be as surprised as me that hopelessness, amount of pain, and the belief that death will end the pain were common themes in the letters of both groups. The biggest difference between the performers/athletes/designers and the others is that we think they have everything because they have gained some iota of fame, money, recognition. Stresses resulting from serving in a high-level capacity at an early age, can result in truly dark moments. There is always the strongly researched possibility that people who accomplish their life-long goal early have less motivation to carry on; having a sense of purpose has been linked to longevity. Kate hung herself with a scarf from her own collection. Suicide is an act of aloneness. It is. The person faces the internal struggle that they no longer want to be here. They are feeling great emotional pain, but aren’t able to see any way to relieve that pain other than ending their own life. When their pain gets to be too much to bear, they may commit suicide in order to make the pain come to an end.Other mental illnesses besides depression can also play a role in suicide. For example, a person with schizophrenia might be hearing voices which command her to kill herself. 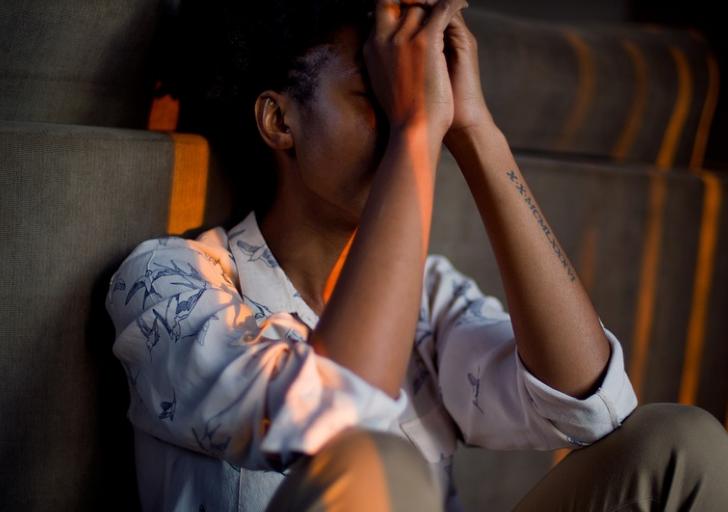 Bipolar disorder, an illness in which a person experiences alternating periods of high and low moods, can also increase a person’s risk for commiting suicide. Drugs and alcohol can also influence a person who is feeling suicidal, making her more impulsive and likely to act upon her urges than she would be while sober.While it might seem obvious to an outside observer that things will get better, a person with depression may not be able to see this due to the pessimism. Check in on people you love. Call them. Seriously… call them. It matters. Everyone needs to know they aren’t in this world alone.